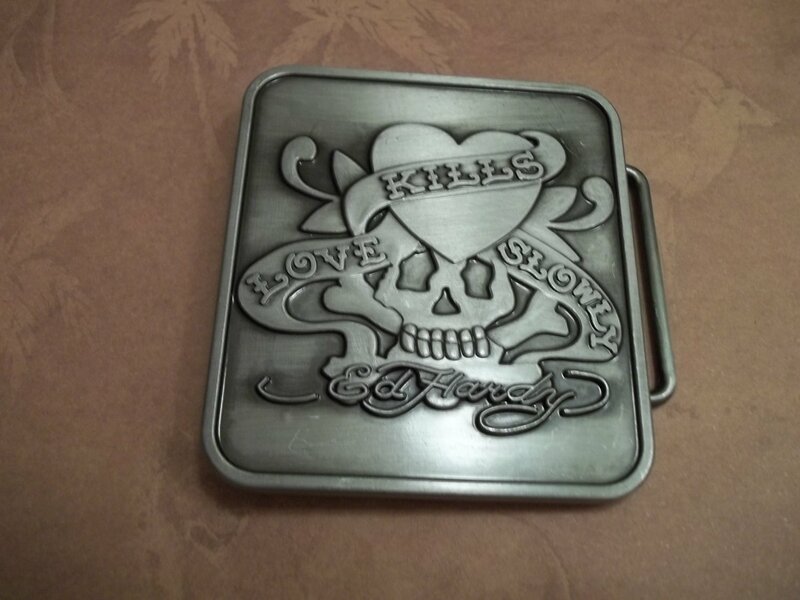 Attractive belt buckle with skull and caption" Love Kills Slowly". Made of strong durable silver metal alloy with matte finish. Measures approximately 2.75 inches by 3 inches and accommodate a snap button type belt of approximately 1-1.5 inches. Item is shipped within three business days of payment approval. Please allow ample shipping time depending on the item destination. If you have ANY problems, concerns or questions please contact us for a prompt response. Check our FAQ for more information regarding shipping times. Once the item has arrived we would appreciate Your feedback and rating. Your rating is extremely important to us as sellers because after all it only takes one negative to bring down your percentage score. Before leaving negative or neutral feedback please contact us so we may have the opportunity to rectify the situation.